Jenny was born in Fairhaven, Massachusetts, and educated at Harvard Scientific School and the École des Beaux-Arts in Paris. 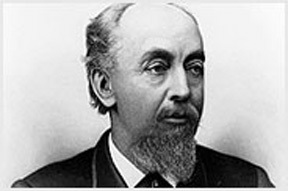 His ten-story Home Insurance Building, built in Chicago in 1883, was the first structure that used a steel skeleton framework to support both the floors and the exterior walls and is therefore considered the world’s first skyscraper. This architectural form would become a defining American building style.